The Panorama Difference - A Regional Center of Excellence for ankle replacement surgery. Ankle replacement is a very unique procedure and is not commonly performed. 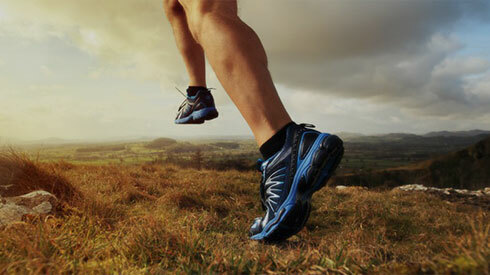 Panorama Orthopedics is a center of excellence. Foot and Ankle doctors here perform more total ankle replacements than anywhere else in the Rocky Mountain Region. Although there are many advantages to total ankle replacements, not all orthopedic surgeons have received the training necessary to perform this complex procedure. That experience, along with our commitment to quality and evidence-based practices, makes us the best choice for foot and ankle care. Ankle arthritis does not need to be a lifelong sacrifice of avoiding the things that you love doing! Some patients with ankle arthritis may be candidates for ankle replacement surgery, where the arthritic ankle joint is removed and replaced with a new joint. Both ankle fusion and ankle replacement are good pain relieving operations. A fusion can give permanent relief, but can result in some stiffness or arthritis in the surrounding joints of the foot, due to the other joints compensating for the fused joint. This can lead to arthritis in the other joints down the road. Ankle replacements have come a long way in the last 15 years. Today, replacements allow for better range of motion and a more normal gait than a traditional ankle fusion. With a replacement there is less chance for arthritis to set in because it does not place undue stress on the other joints that would lead to arthritis. Unlike an ankle fusion, ankle replacements address the pain caused by severe arthritis, while also giving patients a fully functional ankle joint. In fact, the biggest surprise for patients is probably the speed at which they can move the ankle without having pain.